Moscow is seeking to downplay yesterday's incident in the Sea of Japan, which saw an American destroyer sail through waters claimed by Russia for the first time since the Soviet era in 1987, and has released new details of the incident. Russia has further framed the incident as one in which the American ship was essentially chased out of the area. The U.S. Pacific Fleet confirmed that the guided-missile destroyer USS McCampbell sailed “in the vicinity of” Peter the Great Bay on Wednesday — a body of water off the Russian port city of Vladivostok — in order to “challenge Russia's excessive maritime claims and uphold the rights, freedoms and lawful uses of the sea enjoyed by the United States and other nations,” according to a Navy official statement. The United States does not recognize Russia's claim to the waters in question. In a statement reported by Bloomberg the Russian Defense Ministry (MoD) said its own warship and aircraft had escorted the American destroyer as it sailed near the contested waters. The MoD emphasized the USS McCampbell didn’t enter to within 100 kilometers (60 miles) to Russian territorial waters. “If the American destroyer’s crew demonstrated anything, it was its unsuccessful attempt to escape at full speed from Pacific Fleet forces escorting it,” the statement said. The incident occurred in the general vicinity of where the Russian Pacific Fleet is based. 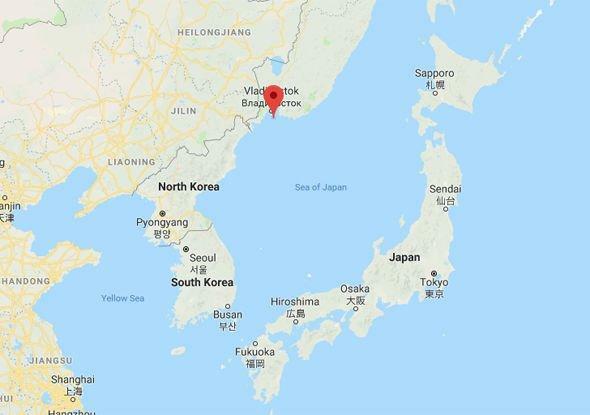 Peter the Great Bay, the largest in the Sea of Japan, and its port city of Vladivostok has been home to Russia's major Far East region/Pacific naval base since the 18th century, when it was a key forward outpost of the Imperial Russian Navy. 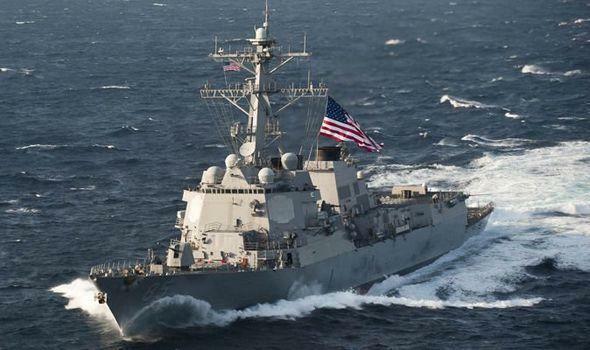 Meanwhile the US Navy statement further sought to separate the incident from current tensions with Russia elsewhere, such as in the Black Sea by emphasizing the "routine" nature of its "freedom of navigation" operations. “U.S. Forces operate in the Indo-Pacific region on a daily basis. These operations demonstrate the United States will fly, sail and operate wherever international law allows. That is true in the Sea of Japan, as in other places around the globe,” the spokesperson for the U.S. Pacific Fleet said. “We conduct routine and regular freedom of navigation operations, as we have done in the past and will continue to do in the future. FONOPs are not about any one country, nor are they about current events. All freedom of navigation assertions are grounded in principle and the rule of law,” the spokesperson added. However, this is not likely to convince anyone, especially when it was the first time in 30 years that the US bothered to send any ships on "routine" operations near this particular location.